Like it or not, the school year is breathing down your neck. Before you know it you’ll be waking up nice and early and rushing around the house. With fall looming on the horizon the temperatures will begin to get cooler and it will be tougher to crawl out from under the blankets. Fast forward a few months and it will be pitch black and darn near impossible to start the day. If you’ve ever found yourself waking up with an almost panic-like sensation from an alarm, you know how jarring things can get. Nothing is worse than be jolted out of a nice, deep sleep with a ringing bell or alarm clock. This year, do yourself a favor and pick up an alarm clock that slowly wakes you from your slumber. There’s so much to be said about a gradual awakening that pulls you out of sleep over, say, a half hour. 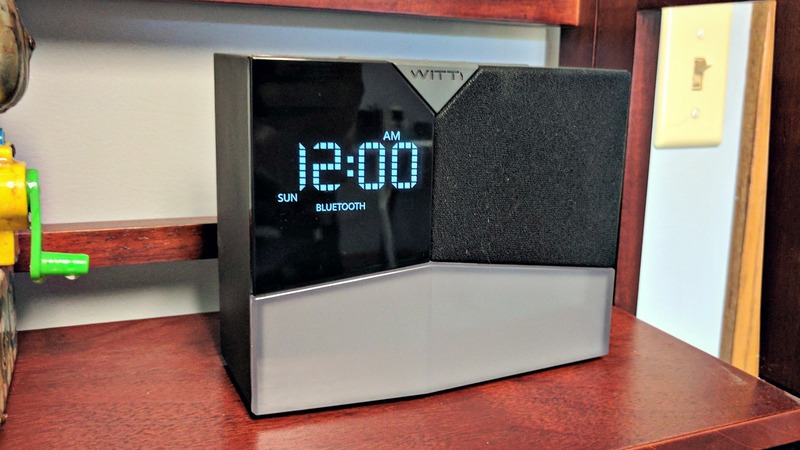 Over the last few weeks we’ve been using the BEDDI Glow, the latest smart alarm clock from WITTI (Witti). As it turns out, this is one of those types of clocks which can help you rise more relaxed and ready to face the day. And, not only that, it’s got a whole bunch of other tricks it can do, too. 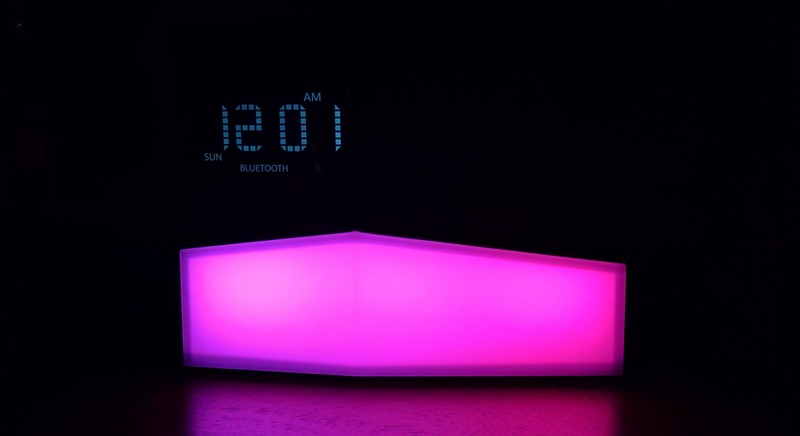 Paired to your smartphone via Bluetooth, the Beddi Glow lets users customize the alarm clock experience. Want to go to bed listening to Spotify or white noises? 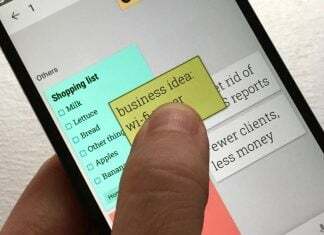 Like to wake up with a weather forecast and quick glance of local traffic? Interested in a glowing lamp that pulses to your music? This clock does all of that, and more. A lot of us like to charge our phone up at night; really, most of us have become accustomed to using the phone as the alarm clock. The Beddi Glow has a pair of USB charging ports on the back so you can plug the handset in and charge while sleeping. Use the other one for your wearable, tablet, or other gadget. Once connected to the clock there is a host of options available to users. 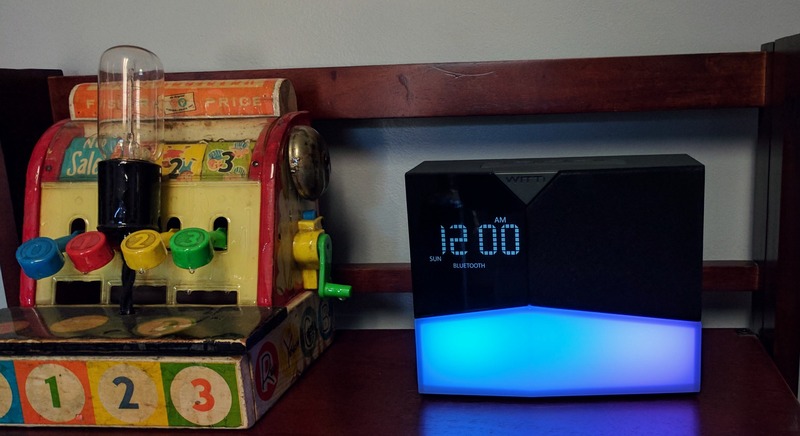 Accessible through a centralized dashboard, it’s here where you set alarms, adjust the lamp, snooze, pull up radio stations, and a whole bunch of other stuff. 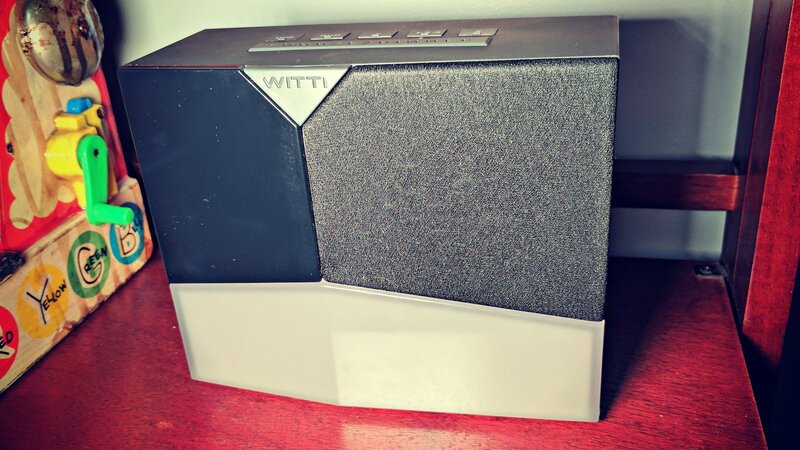 Because it has Bluetooth connectivity, the Beddi can be used to play audio through a built-in speaker. Mind you, it’s not overly powerful or rich in sound, but it’s better than what you’ll find in most alarm clocks. 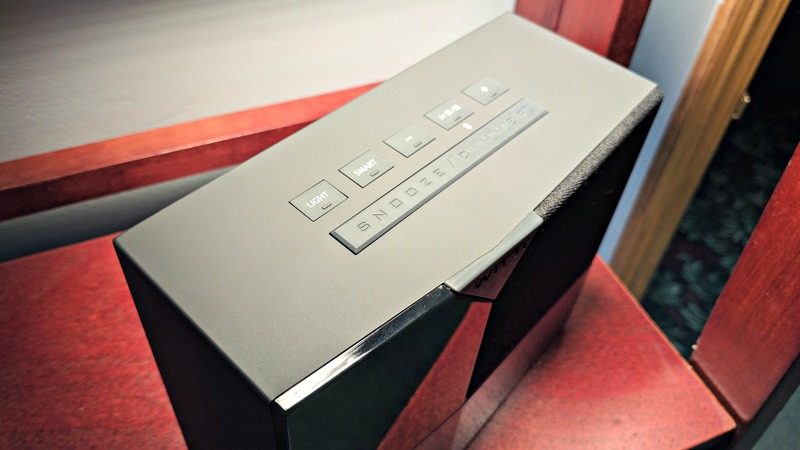 For someone who wants to watch YouTube in bed, or listen to the radio, it’s more than adequate. As my son (13 years old) is heading into high school, he has been waking up early for cross-country training a few days a week, we appreciate that he can set variable alarms. It isn’t every day that he has to wake up for a 7 AM run; other days he can sleep in. He’s loved using the custom alarms and wake times. 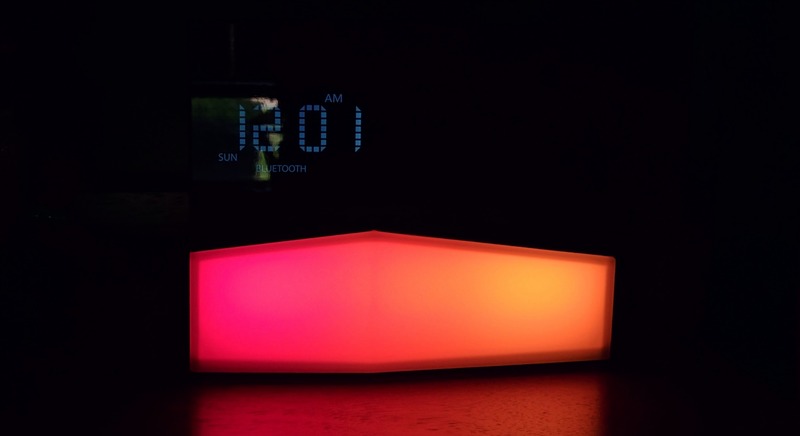 I’ve been using a Philips Wake-up Light alarm clock that slowly brightens the room, simulating a sunrise. I now often find myself waking up prior to the alarm clock going off. My son tells me that he’s already getting into a habit of waking up just ahead of the chimes with the Beddi Glow. Setup and control is very intuitive, taking but a few moments in all. In fact, the longest part of the process was having it scan for (FM antenna included) radio stations. Most nights I find that he’s putting on some combination of white noise (Wind, Fan, Rain, Ocean, and Forest), Google Play Music, glowing lights, or reading under a white light. Speaking of the glowing light, there’s a seemingly endless set of colors to choose from. Additionally, you can customize whether it pulses to music, fades in and out, or cycles through a rainbow. The color is rich and vibrant and deserves to be seen. We also appreciate the “Smart” button that comes with the alarm clock. You can go into the app and program how it reacts when pressed a different number of times. This is convenient if you’d like to locate your phone (when in range), turn on a specific radio station, and more. Priced around $80, you can purchase the Beddi Glow directly from Witti’s website. Look around, though, and you may find it a little cheaper. Amazon has listed it for $69.99 at the time of publication. We have no reservations about recommending this to someone who is looking for a true alarm clock replacement. Because of its multiple charging ports, FM radio, speaker, light, app interface, and full customization, it’s a great all-in-one solution. A worthy bedside companion, the Beddi Glow features a Bluetooth speaker, customized alarms, and FM radio. Moreover, it allows for charging of two devices around back, meaning your phone and wearable are ready to go when you are.